Alice Technologies brings AI to construction management - Facades+, Premier Conference on High-Performance Building Enclosures. Founded in 2003, Alice Technologies is a construction engineering software used by developers and contractors to improve the efficiency of construction projects. 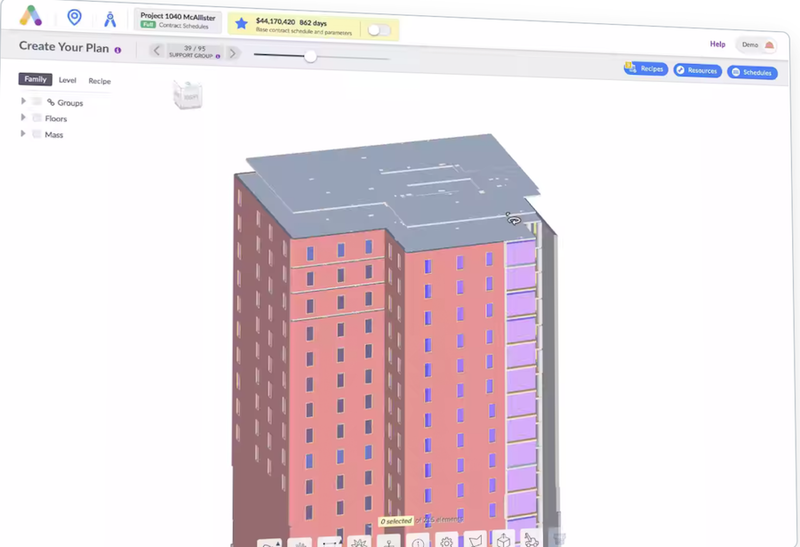 As reported by Construction Today, the development of Alice Technologies’ software required mapping out the relationship between building sequence and schedule. First, the software trawls through building information software to collect data related to geographic location and construction materials. Second, Alice Technologies estimates the time required to shift tools and infrastructure from one site to another. Through the collection of vast troves of data related to projects and the construction industry, the construction software is also capable of generating millions of resolution and sequence variations. Out of this sweeping projection, Alice Technologies provides the best management results based around time and cost. Once the project is in motion, Alice Technologies communicates directly with construction teams and subcontractors, and can reschedule objectives in response to delays. To find out more, check out Alice Technologies.